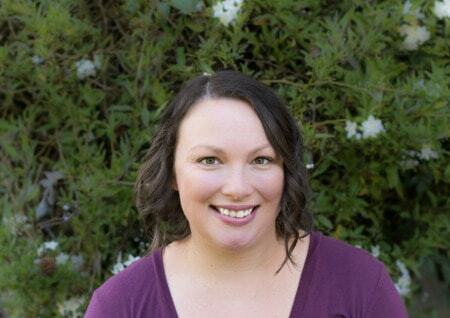 This parent command center post contains affiliate links. Read my disclosure policy here. I’ve been wanting to put together a family command center since we moved to our new house over the summer. While we gained an additional bedroom (and much larger back yard), we lost a good amount of kitchen counter space. Our kitchen has been feeling really cluttered thanks to mail, meal plans, shopping lists, school fliers, keys, and everything else dropped on it throughout the day. The problem was, we didn’t have a designated spot for these items. I knew I needed to set up some type of wall organizer. 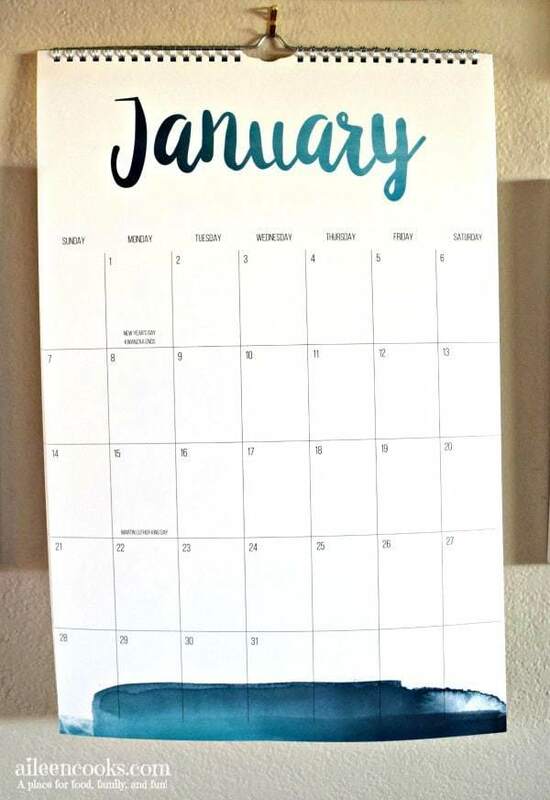 With the start of a new year (and the need for a new calendar), I decided it was the perfect time to create a functional family command center and eliminate some of our kitchen counter clutter. The first thing I did was hit Pinterest for inspiration. There are so many great ideas out there for family command centers. 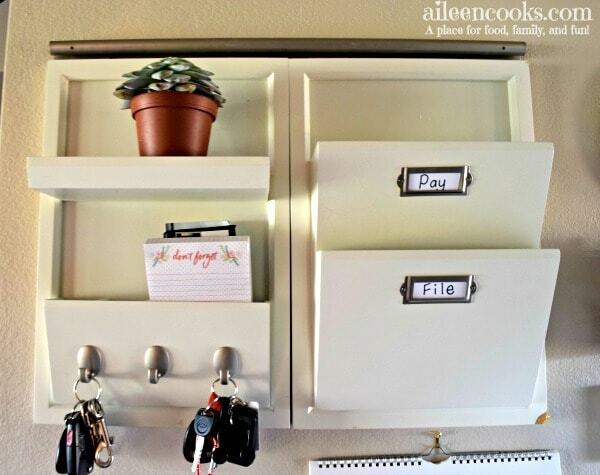 Browsing Pinterest really helped me put together a list of everything I wanted in a command center that would help me manage my family’s schedule and clutter. I took my main inspiration from At Charlotte’s House and The Caldwell Project. The center of our parent command center is the calendar. Although I do keep a schedule on my phone, I do not share an eCalendar with my husband. Our wall calendar is where we all get on the same page with our schedules. And believe me – between school, work, overtime, PTA meetings, dance, and gymnastics – we need an organized calendar! A lot of command centers showed white board style calendars with just one month displayed at a time. That style of calendar doesn’t work well for me because I like to jump ahead a month or two and make notes pretty often. I also like to write down all of our extended family’s birthdays on the calendar and copy it over from one year to the next. I opted for a larger calendar (similar to this) so I would have space for more than one entry on each day. 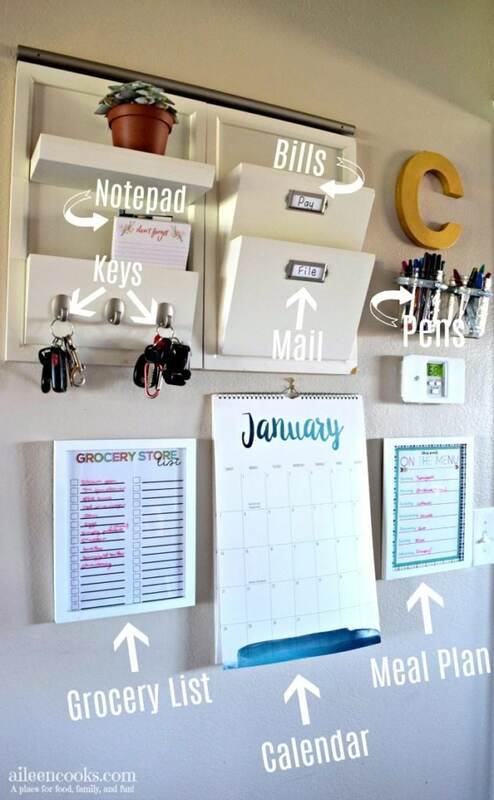 I love the Daily System, but if that is not in your budget, there is a similar (and more affordable) wall organizer on Amazon that is very cute. It even comes with decorate chalk board labels. In the past, I have used a small white board for our shopping list, but wanted something a little more decorate for our command center. I decided to use a printable in a simple white frame. I just write my list with wet erase marker and clean it off after I grocery shop. The grocery list printable is from Thirty Handmade Days. I do keep a running shopping list in my Evernote app on my phone, but like to have a written list at home, too. 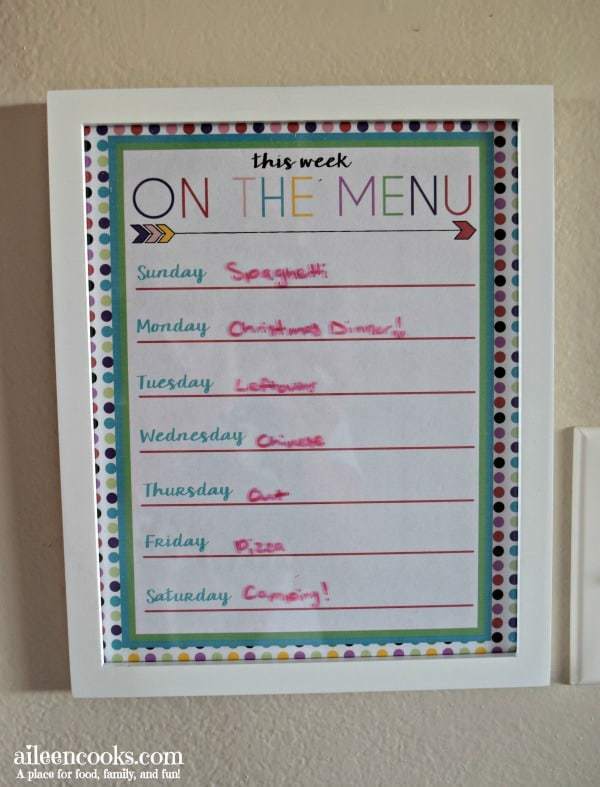 Taking the same tactic with our meal plan, I found a cute meal planning printable from I Should Be Mopping the Floor and put it in the same white frame. In the past, I used this meal planning printable, but I was itching for a change. In order to have everything readily accessible in the same spot, I knew we needed some way to store our pens and wet erase markers. 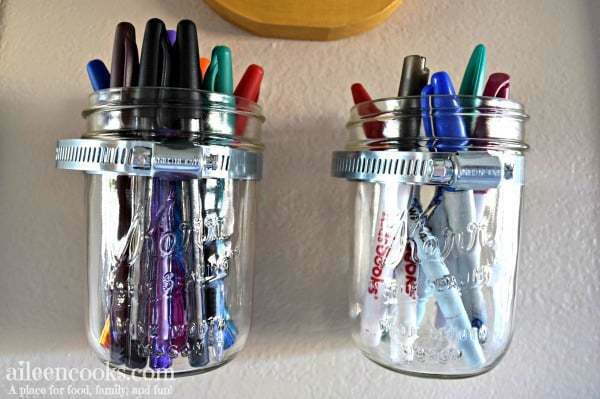 I saw this tutorial for hanging jars from Jenna Burger Design and instantly knew it was right for our pen storage. It was also a super cheap solution since I already had the jars on hand and the hardware only cost me $2. The last thing I added to our command center wasn’t a functional part of our organization station, but I felt it pulled it all together and made it more personal. 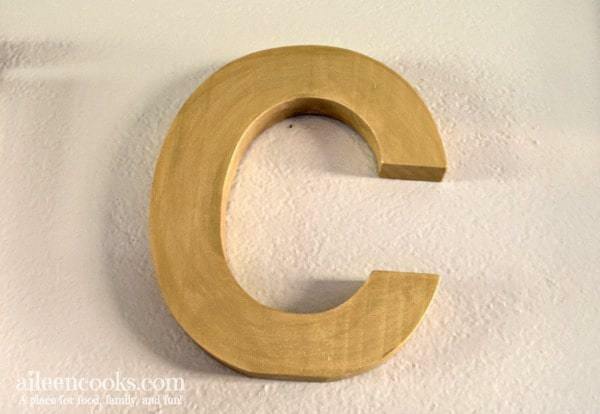 I took an unfinished wooden letter C and painted it with 2 coats of gold acrylic paint. It was a super easy project. I could even change the color down the road if I felt like it. I might just change it to teal, because I’m not feeling 100% committed to the gold. Either way, I was glad to personalize our command center in that way. When it was time to hang all of the things for my family command center, it felt a little overwhelming and I wasn’t sure it would all fit. I decided to start with paper taped on the wall as place holders for all of the items in our command center. It really helped me get a visual before putting any holes in the wall. I’m so happy with how our family command center turned out. It makes me smile when I walk by and our kitchen counters are so clear. It feels so freeing! Oh it looks amazing!!!! I so love this idea. Great job!! Where did you get your calendar? I’m stuggking to find one i like and yours is super cute! What did you use to hang your wall calendar? Hi Carrie! I used a nail. Hi Joann! They are both from Pottery Barn. Thanks for sharing! It is great to get a system in place. Now I need to remember to use it! Linda, you can totally do it! Just add some hooks underneath for their backpacks and an extra mail storage slot for each kid. If you want shoe storage, you can put a shoe shelf right underneath or do a basket or even a storage bench. You’ve got this! 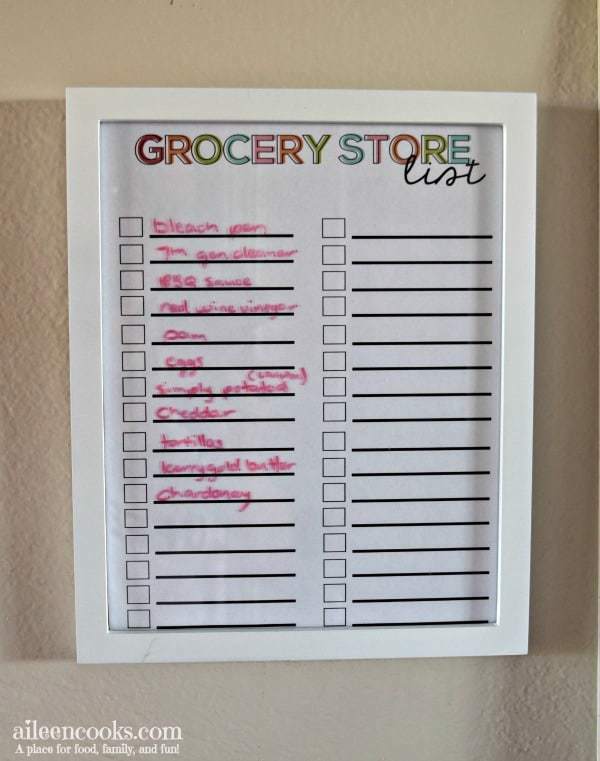 Your framed grocery list looks so much cuter than pinning up a paper! But, how do you access the list easily when it’s inside the pretty frame? Hi Nancy. We write on the glass with a wet erase marker and then clean it off with glass cleaner or a wet paper towel when we need to start fresh.